This is Part I. Here are Part II, Part III, and Part IV. There’s a The End? post too. One hundred and fifty of my friends have voted for the Whittemore Peterson Institute in the Chase Community Giving contest, and I really appreciate their help. Unfortunately, as of this morning, WPI has now been pushed down into ninth place. Two Hebrew academies came out of absolutely nowhere last night. Yesterday evening, the Sonia & Max Silverstein Academy jumped from fifth to fourth place, and this morning it’s in second. The Southern Connecticut Hebrew Academy also jumped ahead of us, into eighth place. It took many thousands of votes out of proportion of the previous voting patterns to make this happen. Once I found those two, I decided I needed to read more of the comments section. As I continued to page through it, I realized that the comments they were receiving were very different than those on the other charitites’ pages. On most pages, people are talking about the charities’ work and their personal connection to it. On the Sonia & Max Silverstein Hebrew Academy page, many were just the single word “vote,” or some minor permutation of that. Things got progressively weirder and weirder, the more I read. I noticed a bunch of “stop bullying” comments on the Silverstein Academy page, but that page doesn’t say anything about bullying – their project, as I mentioned, is about building a gym. Then I just happened to look at the Conejo Jewish Day School page (they’re in thirteenth place), and its “Big Idea” is about bullying…and a bunch of the same people have left the same terse comments both places. That made me think that the single word “vote” comments must have been what someone was telling these people to do…to leave a comment on the wall so they get their gold points or whatever they’ve been promised. Voted and even got paid to do it!! This morning, I noticed a couple comments to the Sonia & Max Silverstein Academy page with the URL VoteFive.com, so I paid it a visit. The website suggests you vote for five Jewish schools and references “anti-bullying.” So that explained to me where the seemingly nonsensical comments about bullying on the Silverstein Academy page were coming from. And all of those schools have many of the single word “vote” or variations in their comment sections. Hi there! Did you get free stuff for Bingo Blitz or something else for voting for that Hebrew academy? I hate to be left out of free stuff. Thanks! So there you have it. I haven’t been able to find exactly where the rubber meets the road in terms of getting these people their payoff for voting, but I conclude that they are being compensated in some way. This makes me absolutely sick – sicker than I already am! So many people with ME/CFS, including the bedridden, like me, have been working so hard on this project this week, devoting large amounts of our precious and scant energy to trying to help WPI, which has linked our illness to the third known human retrovirus, XMRV. And we’ve been pushed from seventh down to ninth place by cheaters. Is donating a half-million dollars to one school so they can build a gym a better use of that money than searching for answers pertaining to a retrovirus carried by up to 7% of the population, a retrovirus that is undoubtedly in the blood supply and that has already sickened a million people? I don’t think so. I’m sure Chase has some sort of algorithm running that shows them the pattern of when votes were cast. There’s surely something suspicious about these academies running up the rankings at the end like this. Lastly, I looked up the rules, and the pertinent section reads, “Chase is not responsible for, nor is it required to count, in its sole and absolute discretion, late, lost, misdirected, unlawful or illicit votes…” But is this illicit? I don’t know. The rules say nothing about compensation for votes. Did I report all of those comments? Yes, I did. Will Chase take any notice at all of this cheating? I’m sorry to say that I don’t have high hopes that it will. So at this point I wonder if the Sonia & Max Silverstein Academy, the Southern Connecticut Hebrew Academy/New Haven Hebrew Day School, Cheder Chabad Monsey, Conejo Jewish Day School, Lubavitch Cheder/Oholei Yosef Yitzchack Lubavitch, and The Lubavitch Academy/Hillel Academy may be cheating in the Chase Community Giving contest. Great detective work! I immediately thought the same just by looking at the current results, even though I did not go any further than that. I do hope those schools get disqualified, or if it’s something they haven’t been involved with themselves, at least get the number of votes reduced. Not to get the WPI higher, but because cheating just isn’t nice. Cheating at something like this is very, very un-nice. The ugly baby was meant to be humorous…maybe it didn’t come across. Like not only is she participating in cheating, but she has an ugly baby, too. Humorous bitterness. I chortled about the ugly baby. But — I think we have the same cranky childfree sense of humor. Did you go check out the baby, though, to see if I was right? The American India Foundation has also shot up fast within the last couple of hours. Almost all of the votes came from freshly registered accounts with no friends and no pictures and they left the same messages in the comments. It makes me sick(er) to think that this past week of overdoing things will have been in vain because of a couple of cheaters with not even a worthy cause. Yes, the no-friends new accounts thing seems to have been a problem in the 2010 version of this, too. I think this sort of thing is just going to be endemic in any sort of online voting. People are motivated to game the system, and there are few controls. Chase did reply and said they take this seriously…but I’m not sure how much they can actually crack down on it. It’s not like they can require you to have an existing account and friends. Thanks, Phi. I sort of wish they provided a bit more info about this, but I guess they can’t cover everything. Contact the schools and I’m sure they’ll withdraw from the contest. Though it isn’t illegal, I know no administrator would advocate such behavior on behalf of their school. I went to Jewish day schools (plural) including a competitor school to one of the ones listed- the principals won’t put up with this. I’ve done that with a few, as I commented to you on fb (I’m telling everyone else who might not have seen that there). Yes I also noted this morning charities coming out of nowhere & did think something wasn’t right but I have pushed myself to the limit trying to get votes. Your detective work may I say is Super!!! Thanks, Maxine. I’ve done some of that…may try to do a bit more this afternoon. Now that Chase has replied and said they’re on the case, I’m feeling less like I need to go vigilante-style on these folks. But I like the new Bronson-style Jocelyn! The school has distributed cards with information on easy voting and even has a contest going for older students, with a chance to win Apple products as a perk. These have to transgress the above rules, surely? Thanks for that information, Jane. Good legwork turning up that mini camcorder giveaway. The Apple giveaway in the Southern Connecticut story seems slightly less worrisome – still not great, but at least they’re trying to motivate the students and not the voters directly. Let’s show Chase how real our voters are by sending in thousands of complaints with these two links after the contest is over! This is very sad. My organization is trying to get band kids to vote for us. Our goal is to enable and empower fundraising for scholastic music programs, but Youth Education in the Arts is falling further behind the hebrew schools every minute. This really hurts me to think there is cheating! It’s totally understandable why YEA has so many votes. There are lots of band kids, and they’re well organized! I thought it was neat to see how many people were commenting on YEA’s page with their school’s name. It’s got to be somewhere online… this whole exchange for credits/points thing… on some site. We can find it. Has anyone tried asking someone who voted which site/link/who brought them to CCG? I’m looking for it too, Jean. I emailed back that one woman I mentioned above…haven’t heard from her yet, though. Might try some others if I can manage it. All of this has taken a lot of energy. In the name of God, what are they thinking? Cheaters never prosper…except for when they do. Half a million dollars is a lot of motivation. Terrific investigative reporting and considerable effort I’m sure. Thank you. I have great sympathy for exactly the reasons you mention. 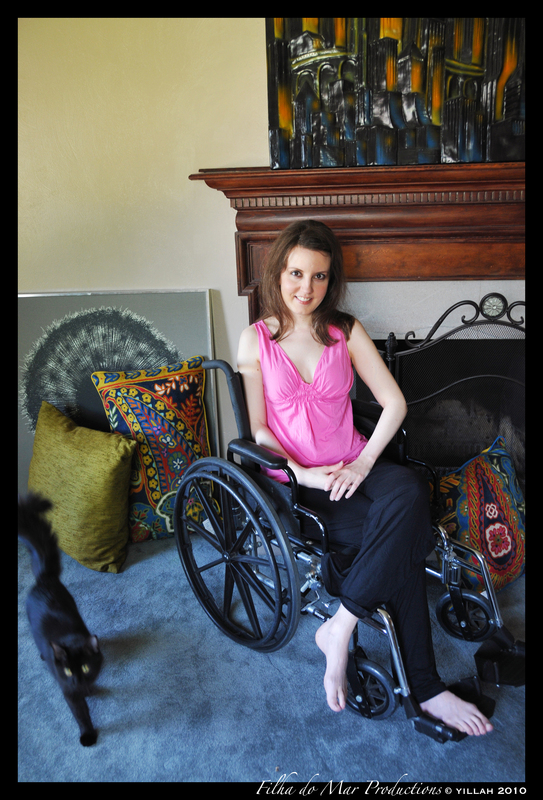 What is one gym, compared to a medical breakthrough for potentially millions. Shouldn’t “greatest good” come to play in this? Thanks, Dad. You know I agree, but we have to play the game that’s been defined. It is shameful that very sick people are having to pester their friends and family for research dollars, but here we are. i am not really following this, but silverstein has been in 4th place since friday. Thanks, Sam. I would have sworn they were in fifth last night, but I could be mistaken. At any rate, they’ve taken a major jump up to 2nd place, and with most charities’ votes seeming to tail off as the time ticks down, that jump looks a little unusual. stop being bitter…if some ppl played smarter. thats life. move on…. It’s not a matter of smarter, daniel. We’re guessing that bribery is against Chase’s rules, which would seem to be indicated by their response that they take this very seriously. Kudos to them for getting on the news. I saw from the screenshot they put up during that story that two days ago Southern Connecticut Hebrew Academy was in 52nd place, and Conejo Jewish Day School was in 53rd. Quite a leap up the charts! Excellent, Helen. I didn’t go any further afield once I discovered that several of these schools had formed an alliance, so I’m glad you thought to check out that charity. That definitely seems to have been an issue in the 2010 contest, from the news stories I found. The only thing tough to answer from this is that there may have been contest votes paired together with a Facebook signup drive. The empty profiles may be because the person just signed up for Facebook account. It’s hard to differentiate from a fake account and a newly signed up account from a campaign. American India Foundation has been docked some votes and now is at 13th. This is true. Unless the signup is one of those gibberish names that’ve been popping up. But as Helen said, American India Foundation does seem to have taken a hit. I am disgusted by this. I have worked my skinny a** off for the past week. Sharing the Chase link, making flyers, contacting friends, walking the street telling people about voting for Wildlife Center of Virginia. They are deserving. I’m sorry, but a Hebrew Kindergarten-pre-school doesn’t need a gym. Wildlife needs a lot more than these little kids. My husband grew up in a town in New Jersey that was over half Jewish and he said that they only went to the Hebrew schools to learn Hebrew so they could have their bar-mitzvah and then they never went back. I think they violate the rule about not promoting a particular religion. And the fact that they are “bribing” people to vote with gifts they will get for voting in just WRONG. I feel disheartened as well. I have done nothing for a week other than beg for votes and I am so tired. I hope Chase does the right thing. It’s immensely frustrating, considering how hard we’ve all worked. I think those gift votes may be legit and not relevant this time. For the last CCG, you got one gift vote in that way; perhaps in the 2009 version you got more. Yeah, I think that is an old document. Great detective work, NPGirl! Have you emailed Chase about this? Maybe you could send them a link to your post. I agree that offering bribes/prizes is against the rules of the Chase contest (the “sportsmanlike” rule, specifically). Yep, I’ve sent them all this and then some. Other people started turning over rocks after I did and came up with even more interesting stuff. Thanks so much for looking into this, Jocelyn! I emailed Chase with a link to this post and also pointing out the fact that religious orgs are not eligible. 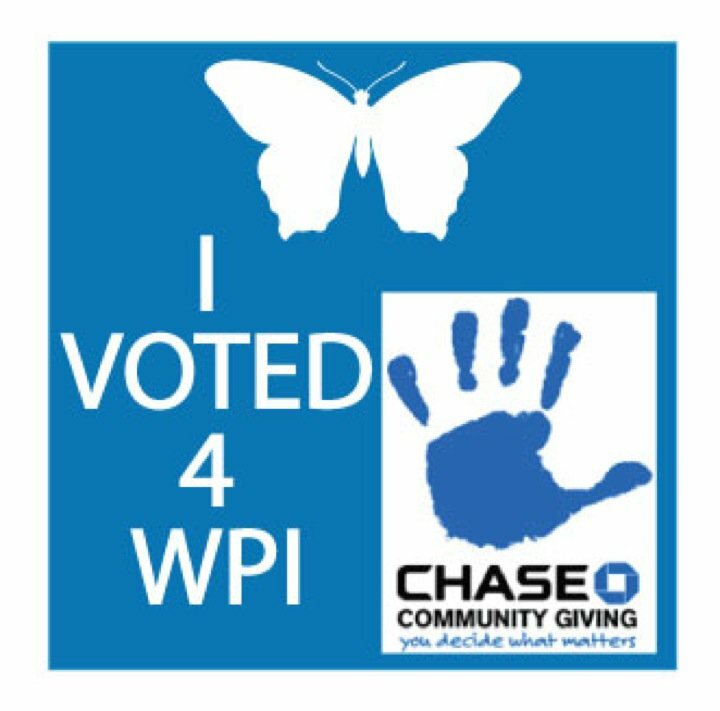 Also let Chase know how great WPI is- this might help in the discretionary cash awards. I hope everyone emails or messages Chase! Thanks, Justin. I emailed them everything here, but it couldn’t hurt for them to know there are more eyes on them to figure this whole thing out. Yeah, Chase dumped a bunch of their votes today and they dropped down a couple places. I didn’t note from where to where. I just checked the leaderboard and S. Conn. Hebrew Academy, Conejo Jewish Day School and Hillel Academy all have gotten between 900 and 1000 votes each in the last 3 hours. Definitely some more fishy activity. There’s a redemption site out there. I just know it. Can’t figure out how to find it. Good detective work, ladies! May the best charity win … and the cheaters be permanently banned. I hope I don’t come off as an antisemite or anything, but the fact that Chase is a bank and there are certain stereotypes got me Googling. And everyone can Google Chase Bank Jewish (Google actually autocompleted that for me) and draw their own conclusions. I’m not saying that Chase is playing a dirty game, or that being Jewish has anything to do with this. Perhaps these organizations will be disqualified in the end. Yeah, that’s ridiculously anti-Semitic. Chase is an International organization, they don’t have loyalties to anyone! Quit looking at links that tell you otherwise. You can find a lot of stuff on how the banks are controlled by Reptilian Aliens if you want to believe crazy stuff. If you’re seeing people mention the Protocols of Zion, a FRAUD/FAKE document on a “jewish cabal taking over the world”, you need to read Will Eisner’s The Plot. Its a graphic novel account of the LIE that led to the Holocaust. Don’t spread hate, educate. Sam how needy is an organization that can offer camcorders and Ipads to those who vote for them? We are desperately trying to get money ofr severely ill children and adults, many of them too ill to use a computer and many impoverished by years of illness and government neglect. If you think winning like this is morally ok, have fun with the money. But don’t come on here and insult desperate people in need. i am not insulting, just stating the facts. if u want to say they dont need the money, thats fine. but dont call them cheaters if they didnt break any rules. They paid me for the vote Sam. Got the screenshots to prove it. Don’t worry, we’re making sure everyone has THE PROOF, so they can’t deny it. .21 cents, was that really worth dignity? Are the people who are sick and honestly trying to get help worth LESS than .21 cents? Time to get real. They cheated by entering the contest under false pretences. Chassidic academies and day schools do not serve anyone in the broader community – not even the broader Jewish community save “outreach” to less observant Jews (the only proselytizing done in the community) which is also against the rules of Chase. I don’t know how many ways you can be ineligible for a contest and still come away with considerable prizes? I would think the participants would be well able to understand this and would have known it going in. Surely that deliberate flouting of The Chase rules must be addressed. Otherwise, your contest is meaningless and, maybe, illegal. Thank your excellent work, Nopostergirl! Once again, i repeat – please show me, where in the rules it states that offering incentives are not permitted. So you’re officially okay with InvisionCA paying me to vote? I’d like to see that in writing please. It’s subjective, and obviously up to the discretion of Chase, but I’d argue that offering incentives for votes comes under unsportsmanlike conduct. Take Hillel Academy as en example, people were voting for them simply because they wanted to win a camcorder. Totally against the spirit of the event. Allow it to continue and the next winners could be those offering the most attractive ‘incentives’. This is a relatively new undertaking, this way of giving. I’m sure it will take tine to work out the bugs. Their (Chase) leader board now includes a number of organizations not eligible. It is an easy matter to remove them. As a Jew, I am deeply embarrassed by the way some in our community have acted in this situation. What is the point of teaching Torah if we do not practice it and model it ourselves? I hope those who were engaged in buying votes under deceptive practices will reflect on how their behavior has hurt everyone… both in the Jewish community and beyond. And, I hope they will take the appropriate steps to make Teshuvah, between man and man… remembering that the gate of tears (to Heaven) is still open. The winner of the contest received more than 1/3 of their votes between 6PM and midnight the last day of the comment. On the 6PM report Chase had the winning group with a little over 17K votes. (I am not sure of the winning organizations name right off the top of my head). Between the 6PM vote and the final tally the winner got 10K more votes. Something is amiss in this contest. I know YEA, DCI, and MENC did not promise anything for a vote. And even though these 3 organizations were in the top 10 for round 1 only 2 of them made it in the top 25 this time. The Hebrew group and winning group were not anywhere on the radar until this sudden burst of votes the last 2 days. I am upset with the thought of cheating, especially if the cheating is coming from a religious group. And how was a religious group even allowed in the contest in the first place? Businesses can “buy” consumer activity with Swagbucks http://swagbucks.com/. Marty, they Paid Me for my vote on the last night of the contest in the final hours! How shameless of you to turn a blind eye to this. Don’t let pride blind you from the truth. Wow, great investigative work! The parents of Ridgeline worked hard at garnering votes by networking the good old fashion way and using our local media. I just wish you hadn’t thrown in the “joke”. Derogatory remarks are never really that funny and only serve to add to the tension and stir up more of the same unfairness and “ugly-ness” that you have worked so hard to uncover. Leauriy, please see my comment to nmj below. Hello, Jocelyn, This is all very interesting – and demoralising! I also voted for WPI and put precious energy into getting others to do so. However, I agree with Maija, the comment about the baby is inappropriate, it does nothing to help your enquiries. It’s never a good idea to make these kind of things personal, and the poor baby is, after all, totally innocent in whatever may have gone on. Black humour is fine, but not in this context. Okay, everybody, I will make no more jokes about ugly babies in this series of posts. It was intended to be a bitter/funny aside, but it obviously didn’t come across that way. Must be b/c there’s no emoticon for acerbic. I happen to think babies are inherently funny-looking, and found this one especially so. But I seem to be wired “wrong”…I have never had any desire for children. And it doesn’t mean the baby will grow up to be ugly. All of us have our moment in life when we’re most beautiful and another moment when we’re our most ugly. That baby will probably grow up to be a true beauty. It’s just the way of the world. But all of this wouldn’t have fit into the original post. And I’m not going to delete the remark, because there’s already been so much comment about it that it’d make all these comments not make sense. Going back to the issue of ‘exploiting’ rules to get your charity to the top, I am quite horrified this happened. I did notice that some Hebrew schools were at top and WPI had slid back but never at all questioned this as anything than a genuine last minute surge. How naive of me. And I don’t see at all why WPI should be penalised if peope complain directly to Chase. I would honestly be very reluctant to vote in a fundraiser like this again and feel duped. I’ve been reading the blog but what I see is what usually happens in life….some people win and some ppl dont…the ppl who don’t will do what they can to discredit the ones who won. It’s part of life I tell u! I’m hoping Chase will use their additional money and give it to your charity to help find a cure for the many who are sick, Best wishes!